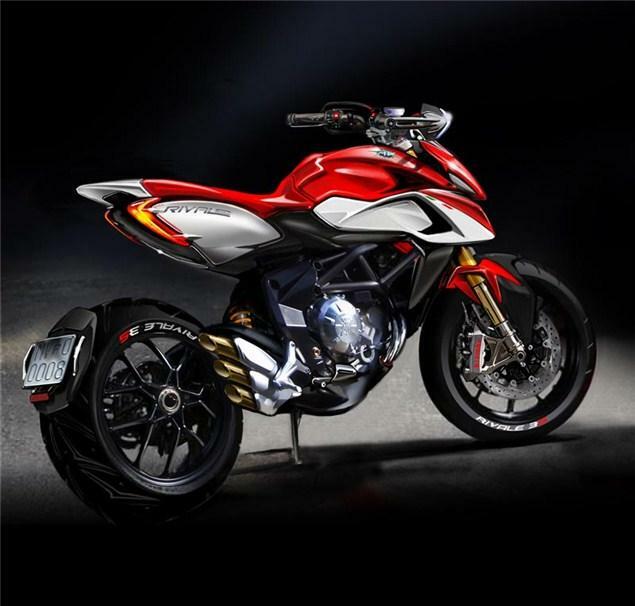 MV AGUSTA has released a sketch of their new Rivale naked, which will debut at the EICMA show in Milan next fortnight. With a Diavel-esque rear-three-quarter stance and a Hypermotard-esque (but thankfully beak-free) front end, it's not so much a warning shot across Ducati's bows as a full broadside. Powered by the Brutale 675's triple bored out to 800cc (which will also go into the new Brutale 800), exhaling through an F3-like triple exhaust and wielding high-quality components, the Rivale should be a bit of all right. Watch this space.